CineScout is a director’s viewfinder for iOS. It allows filmmakers visualize different lens & camera combinations on their phone. It supports over 25+ cameras from leading manufacturers like Arri, RED, Canon, and Sony. 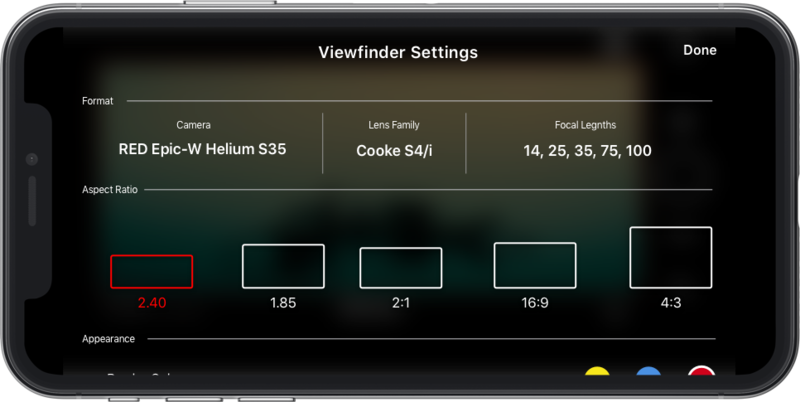 CineScout has an intuitive, gesture-based navigation system allows you to easily change lens families, focal lengths, and more. Just swipe up with two fingers to reveal settings. Easily change your format, aspect ratio, focal lengths, video settings, and more. Record 4K, 2K, or 1080 video, cropped to whatever aspect ratio you’d like. If you have a question, bug report, or idea for a new feature. Reach out.